Dogs are always referred to as man’s best friend. And ensuring that your dog is healthy and safe is one way to build good relationships with your dogs. When we think of pet dogs, we instantly think of movies like Homeward Bound and Hachico, and a certain warm feeling comes up. To many people, pet dogs are connected to sweet moments of childhood and memories of a happy family. Indeed, dogs hold a special place in many people's hearts. This is the reason why special attention must also be given when it comes to dog care. 1. Study the temperament of the dog breed you have. Different dog breeds tend to behave in different ways. Your role as the pet owner is to study those temperaments and innate tendencies. This article is not at liberty to discuss all those temperaments because there are thousands of dog breeds. The bottom line is that you need to talk with your pet store representative about the temperaments of dog breeds so you will know how to fit a dog into your life. 2. Commit your dog to a regular physical exam. This may seem funny to some, but pet dogs need regular check-ups too. 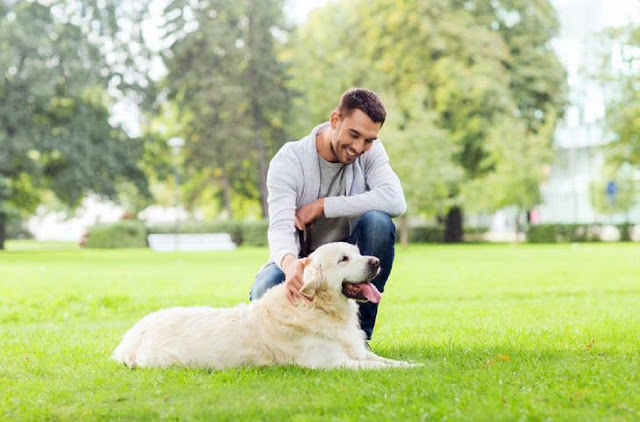 Depending on his diet and level of routine physical activity, it is possible for a dog to develop heart diseases, skin problems, or other conflicts in the body. If you want your dog to live long and happy, find a veterinarian that you can stick with for the long haul. 3. Have your dog neutered or spayed: Neutering your male dog and spaying your female dog is important to dog care tips that you should follow, and are necessary. This will make the male dog less aggressive and spay a female dog will also allow her to be free from the stress of being in heat and from noisy male dogs following her around. These will also help your pet live a healthier life. 4. Keep household products that can harm your dog away from their reach. Bleach, mothballs, fabric softeners, mouthwash and many others could be harmful if ingested by dogs. Pits and seeds of fruits can also be harmful to dogs as it can block their digestive tract. Keep all these far from your dog's food or from their reach for their safety. 5. Look out for parasites. It is OK for a dog to play around the house or in the front yard as long as you are assured that he does not acquire some sort of parasite. Because dogs do not have footwear, it is easy for them to catch parasites through their paws while walking. Some parasites include fleas and worms. To lessen the risk of having a parasite plague, regularly bathe your dog. Make sure he does not get access to garbage or water from a dirty source as well. Overall, taking care of your dog takes a lot of work, but nothing beats the feeling of joy when you have a lovable pet that is healthy and stays with you for a long time.